‘Since I started the Reiki journey, I have noticed an amazing change in my day to day feelings and emotions. As a shift-worker, (M has worked 3 days on night shift, 3 days on day shift, 3 days off, continually for years), Reiki has helped immensely with lifting my fatigue levels … they were constantly erratic and it was normal for me to be working semi-exhausted. My sleep patterns have stabilised out of sight, they are now regular and I am able to be relaxed and calm throughout my whole day, no matter what stresses occur (and there are plenty). ‘Last week, I contracted a stomach bug and became violently ill in the evening and was sick most of the night. By 3 am when there was no let-up, I started to think about giving myself Reiki. Unfortunately that was as far as it got, I was just too sick to use the symbols. At that my point my hands started to tingle and heat up. The heat in my hands reached a point where they became overwhelming painful, like a strong electric current was being passed through them .. it really drew my attention away from how I was feeling and towards my hands. ‘Learning Reiki First Degree was totally life-changing … it was much more powerful than I ever expected. I am more confident and empowered, I feel connected to the world, my senses are heightened and I am peaceful, calm and at ease. My mind has shifted hugely … I seem to be always very happy – I am noticing how much my happiness has increased. My relationship with my husband has strengthened – I share Reiki with him and our bond as a married couple has deepened and strengthened. I am so much more optimistic and excited about life. I am more able to live in the moment and feel contented and peaceful. I can now easily listen to my body wants and needs, I nurture it and I don’t make it work physically like I used to. I see beauty in everything. ‘As I use my Reiki each day on myself, I’m feeling a lot happier, calmer and centered, I have a lot more physical energy, my focus has improved and I handle things at work and at home quite differently. Before I learnt Reiki I was exhausted – I had had enough of life. I was depressed, worried, stressed and unhappy. Now I feel very good about my future, even when I don’t know what my future holds’ (Sharmain’s job security has been uncertain). ‘I sleep better than I have ever slept before’ (previous years of surgery and chronic pain). I look at life through different eyes, I don’t judge as much, my health is the best it’s ever been, my physical pain levels have dropped noticeably, I’m way more happier. In a weekend, I have had huge shifts. I have heaps of energy, my health is going great, I feel a lot happier and positive about how to deal with my life and my future. The one thing I have noticed with doing Reiki is that it has really opened my eyes to live for the day and be grateful for what we have and the moment we are living in. The deep relaxation, peace and restfulness I get when doing Reiki on myself and also seeing for myself how it relaxes and effects my family members while they receive Reiki gives me great respect and gratitude for what Reiki can do so quickly for us. It’s the discipline in letting go. I’ve seen terminally ill seniors and four year olds with chicken pox respond in miraculous ways. This is not about whacked out esoterics. It’s real, it works. It’ll bring you closer to the world and maybe surprise you with a reintro to yourself. If you’re after a noble, no bull Master who teaches in her being – Yolanda’s the one’. Cliff and Paula began their Reiki journey back in 2010 and in Oct 2014 and completed their Reiki Master/Teacher qualifications with Yolanda. Previously qualified as spiritual healers in the UK, they moved to live in NZ in some years ago. ‘Completing our Teacher training with Yolanda was very exciting. 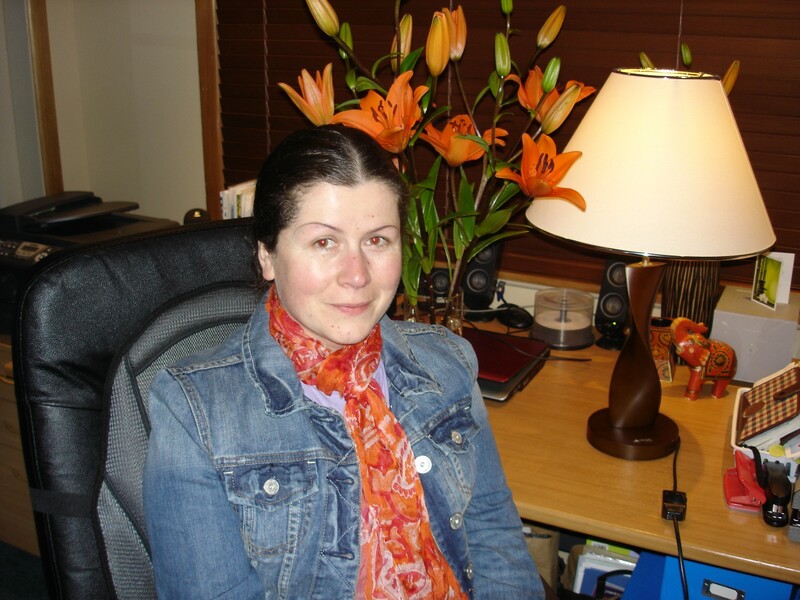 She teaches Reiki in a friendly, professional way and her passion for Reiki really shines through. 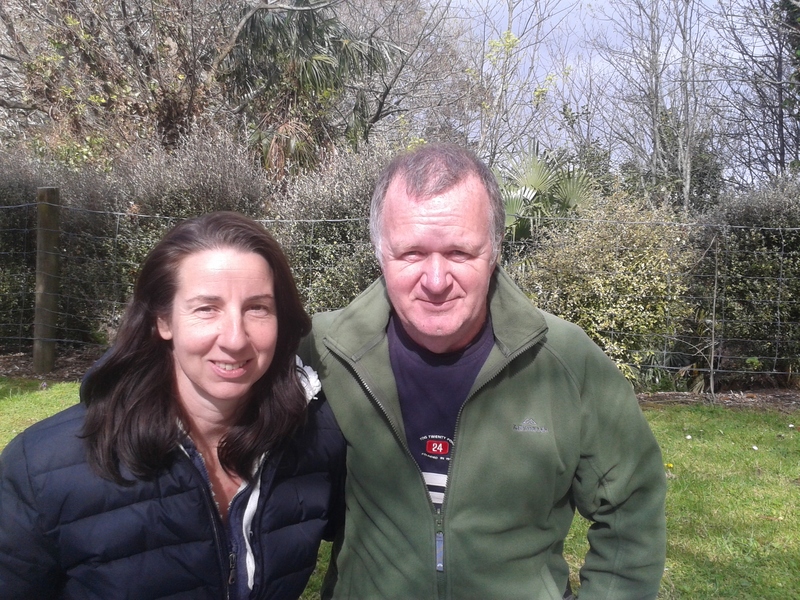 Paula and Cliff are Members of Reiki NZ. Their Reiki Clinic is called The Open Heart Place and is located at Peers Road, Omanawa in Tauranga. I am born in Macedonia capital city Skopje. I come to NZ 7 years ago with my family, and I am working for WDHB for 3 years as a dental nurse. Thank you for introducing me to the Reiki Path Way, Yolanda. Thank you for teaching me and for joining me in this new journey to healing myself and others. Thank you for sharing your knowledge and experience with us. Thank you for perfectly understanding who I am, what I want to do, your support and not giving up on me and my journey with Reiki. Thank you for taking the time and your hospitality and all you did for me and my friend Vesna and special thanks for my friend Vesna who bring you into my life. I had wonderful time at your Reiki First, Second and Third Degree (3A) classes and I hope to grow more and more throughout my life time and become Master like my teacher and help spread Reiki to others – ‘The more Reiki in the world, the better the world’. Reiki fills me up and make me happy, give me the strength and do things I need to do with unconditional love. I have been blessed with the gift of healing thought my hands with Reiki Universal Energy and do things from the impossible to the possible miracles. To be able to help it is the best feeling I can ask for. By using our hands we are connected to Life- Force Energy and we can help people even they are on the other side of the world; people we know and we don’t know and give them a second chance when nobody else can. In such short time I, my family, friends and some animals had a lot of benefits of Reiki Universe Energy. Physical and emotional health I have had long-term, great pain every month during biological period – not anymore. I have had long-term problem with digestive system – not anymore. Problems with sleeping – not anymore. I have had cramp and pain in my sole in my right leg almost every day and every night – not anymore. I have had pain in my kidney three weeks ago – not anymore. I have had chest infection and I didn’t take any medication and I was healthy after one week. I used a lot of Reiki and the symbols on myself. When I have headache I just put my hand on, and pain disappears after 20-30 or 40 minutes. Problem with my back pain disappears after holding my hands on. We have a bird who didn’t sing for three years, but after Reiki First Degree she has not stopped singing. .Also I notice that other birds are coming into the room wherever I am and stays quietly close to me for while and goes away without me pushing them out. In waiting room where I’m working at the moment, a cat comes every day and quietly lies down very sad and looking straight into my eyes like begging for something. My others colleague was wondering why this cat keeps coming every day. I know why- I put my hands on her head and give her Reiki, keeping them there as that what the cat wants me to do. When my son or my husband has any problem they now ask first for Reiki before take anything else. Also one of my friend have had pain in his kidney, but after one week his pain is gone. Also he has pain in his left arm and after Reiki for 40 minutes, his pain is gone. All my friend who already have had an experience with Reiki Universe Energy balance and harmony, keep asking for Reiki hands on or distant healing again. (There are some experience people have had I can’t talk because they want to keep them only for themselves and I’m sorry I can share that because we must respect there expectations and will). “My second experience where I have used Reiki hands-on and distant healing with a friend who had an extremely painful, broken arm. No medication would remove the pain she had. After I gave her a Reiki seated treatment, she felt strong pain for a few more hours. But the next day she sent me a message ‘Ana, thank you for Reiki. The pain was strong but now it is less’. During the week I was sending more Reiki Distant healing energy and after the fourth day sending the Reiki every day, she sent me another message – ‘Now miles better`. She experienced a great relief from her pain and other discomforts related to her injuries”. ‘Thank you for life changing experience for my entire body and life’ – Ana. 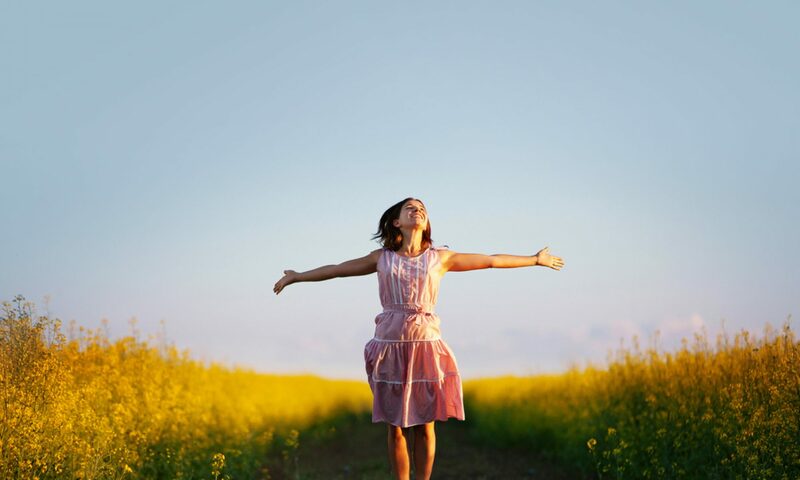 Ana has also experienced very fast healing and pain relief herself immediately after Reiki First Degree – from physical pain she had all her life. Her optimism and confidence have improved permanently and she is a committed, powerful and blessed Reiki practitioner and Reiki Master. Plus her family love receiving Reiki from her, too – Yolanda. Hi my name is Kevin Brooks. Originating from South Africa I have been in New Zealand for about 12 years now, and I have had the pleasure of completing my Reiki Master-Teacher training with Yolanda here in Hamilton. It as been quite a Journey for me. From selecting the person who would accompany me though my journey, to getting the universe to allow the right time for it to eventuate. Have you ever had that nagging feeling that you are supposed to be doing something but you just don’t know what. I have been interested in various forms of vibrational healing through sound, light, and aroma. I thought Reiki was another modality that I could add to my already full agenda. Boy was I wrong. Fortunately I approached it correctly. For me it was important to allow Reiki to draw me in rather than to rush into Reiki at my own steam. The age old saying you can’t squeeze the apple ripe. When I initially booked my Reiki 1st degree course I had no idea of the challenges I would face and the wonderful patience my teacher would have to have in order to impart Reiki. What drew me to choose Yolanda was the thoroughness of the course information, and a gut feel that said this is the right teacher for me. She was by far not the cheapest Reiki teacher around, and seemed to required much more time commitment and discipline than many of the others I approached, but I just knew this was who I had to go with. 2 weeks before the course I had to rush off to South Africa to attend my father’s funeral. Fortunately Yolanda understood that the time was not right for me to learn Reiki and even offered to refund me because she had no further courses coming up in the near future. Bit I decided that It will have to happen in its own time. And I knew I had to go through with it not when I decided but when the time was right. With time the intention eventuated, and wow what an experience it has been. My focus has always been spiritual in some way shape or form and from the word go I was able to find a profound degree of peace within, the simplicity of which surprised me. When asking for an explanation Yolanda just smiled and said just allow Reiki to do the work, and it sure did. On to experimentation, for me, because the results were so phenomenal, believe it or not, even with every indication of Reiki working for me, I had to try and test it for myself. From making my special cactus grow, one that I have had for 7 years and it barely got a new leaf, to getting 5 new leaves in the span of 1 month with Reiki, to calming my children down, assisting with colds and flu, , helping me detox, taking away my headaches and treating some aches and pains , hands on everything even my water. Second Degree had me sending healing to myself and my family in South Africa, and deepening my relationship with Reiki. Some more experimenting with the symbols and different aspects of my life Reiki came in and just assisted with everything. It was like I had a secret silent helper only I knew who it was, it was Reiki. From using the symbols over the water I drink, to sending Reiki to a business situation, bringing peace into my home, there was very little one could not do with Reiki. The funny thing is Yolanda never put any pressure on me to continue further with Reiki and I let the time pass, my first degree I did in October 2011. Even though I could already see the value of Reiki and experience it for myself, Yolanda would only let me do the Second Degree after much practice. Not everyone may need the same approach I needed but I certainly would not have had it any other way. I eventually did the Second Degree mid February 2012 and once again had to integrate it before continuing. My Third Degree I finished in May 2012, and my Reiki Master Teacher training we completed during weekends spread out over a period of 3 months from August 2012 to October 2012. There has been much to teach me and there is still so much more to learn. I know that this was a very special arrangement due to the time constraints, but every Saturday we spent had a clear pathway and teacher training content that I am sure must have taken Yolanda years to amass. My final attunement was a very special occasion where I had my family with me and I had the honour to give my wife her first Reiki First Degree attunement on the day. I can already sense there is a change in the air. Our home has become even more of a haven. Here is to living out our authentic self within the wonders of Reiki and looking forward to the continuation of a memorable journey so far.